AUSTIN, TX (Jan. 30, 2019) – The Austin Spurs, presented by SWBC, will partner with Cedar Park Overhead Doors to help raise funds for Texas Humane Heroes by hosting their annual Hoops ‘n’ Hounds Game on Sunday, Feb. 10 as Austin takes on the Salt Lake City Stars at the H-E-B Center at Cedar Park. Tipoff is scheduled for 4:00 p.m. Fans are encouraged to bring their four-legged friends to the game to help cheer on the team. There will be a designated dog-friendly section at the H-E-B Center at Cedar Park, as well as pet relief stations outside the arena to ensure an accident-free event. In addition, pet-focused nonprofit organizations will be on the concourse with dogs available for adoption. The Austin Spurs will sport canine-themed jerseys that will be signed and auctioned off. Fans will have the opportunity to cast their bids starting Monday, Feb. 4 at noon until 5:30 p.m. on Feb. 10 with all net proceeds benefitting Texas Humane Heroes. Fans can text “Spurs” to 52182 to register. Every dog receives two human tickets with admission. Dog owners are required to sign a safety waiver and provide proof of up-to-date shots and spaying or neutering in order to receive tickets. There will be a limit of two pups per person. Aggressive dogs and retractable leashes will not be allowed. Check-in for dogs will be outside of the north entrance of the arena. A veterinarian will be onsite in case of any emergencies. 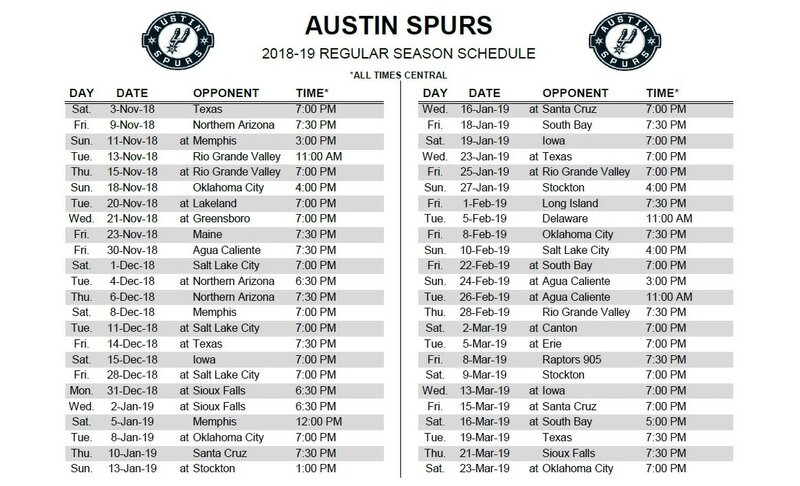 To purchase tickets or find more information regarding the Hoops ‘n’ Hounds Game, call the Austin Spurs office at (512) 236-8333 or go to austinspurs.com.